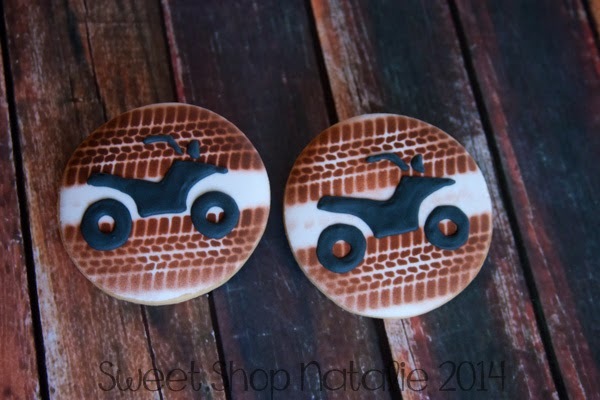 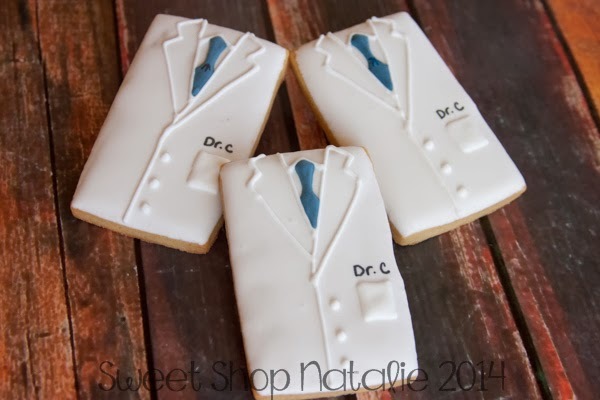 Sweet Shop Natalie: Birthday Cookies featuring The Howard! 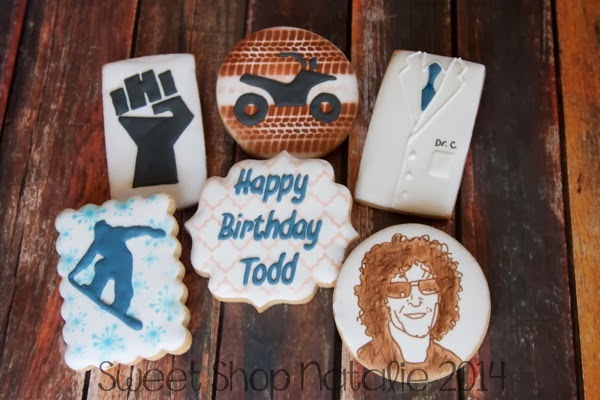 Birthday Cookies featuring The Howard! 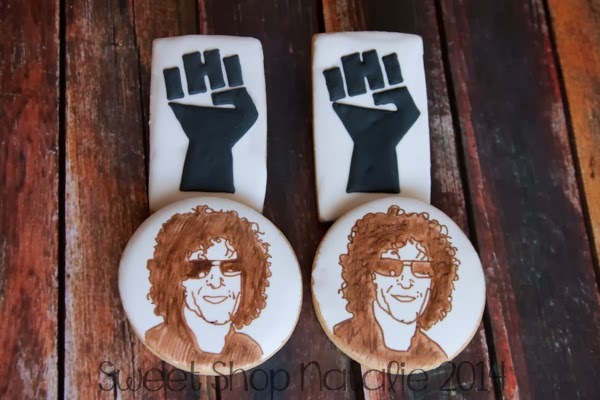 I hear that he was super stoked about the cookies and was in love with the Howard Stern face and hand. 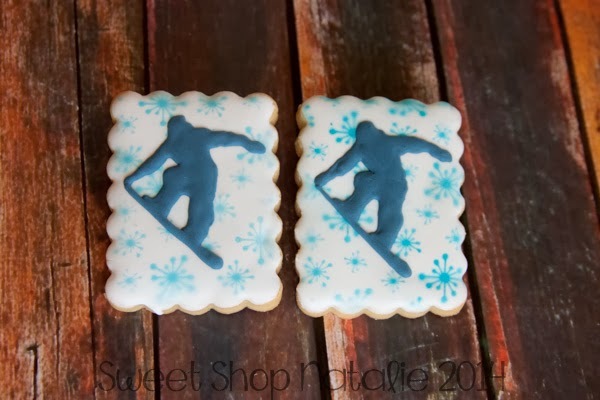 Retro snowflake stencil from Artfully Designed Co. and the quatrefoil stencil from Salsa Stencils.